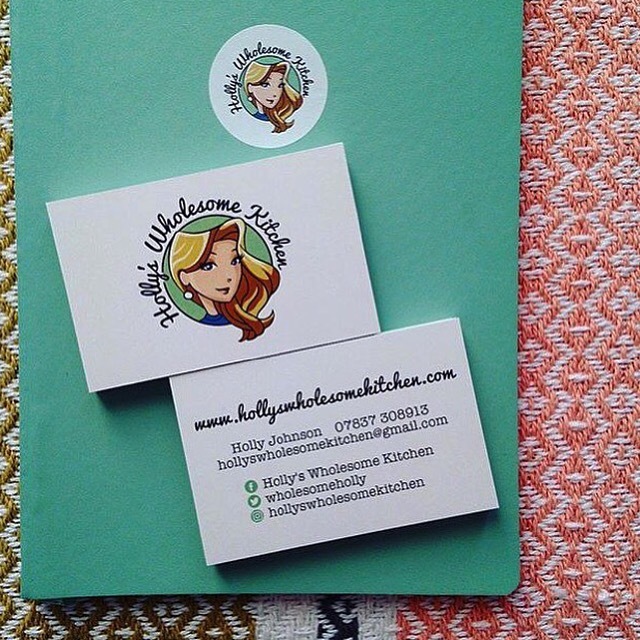 About 4 years ago, I had a very serendipitous meeting with an artist who within 30 seconds, sketched my Holly’s Wholesome Kitchen logo. He totally captured the essence of what my kitchen represents and it has become a very powerful marketing tool that translates across all of my social media sites perfectly. It took all of my might to refrain from getting my logo printed onto everything! Pens, mouse mat, t-shirts…..less is more (so they say). Fast-forward a good chunk of time and I am now on the cusp of taking Holly’s Wholesome Kitchen to the next level. I have some very exciting plans bubbling away and I am so excited (if a little apprehensive), to get the next ball rolling. Creating a strong brand motif is absolutely key and when you crack it, it can become the most potent and effective device to attract business and get your brand known and recognised.